As you probably already know, I'm a big Charlaine Harris fan, so I was very excited when I received the second book in the Midnight Texas series last week. Midnight is a small place located in Texas. The residents of this town like the fact that it's out of the way because they all have their personal reasons for keeping a low profile. Now, the formerly rundown hotel has been renovated and a small group of people have moved in. As concerned as they are about this fact, that's the least of their problems. Manfred Bernardo hasn't been in Midnight for long but he really likes it. He's gotten to know everyone and has assimilated into the tight-knit group well. Besides, it's the perfect location for him to conduct his psychic business. When he decides to spend a weekend in a flashy hotel in Dallas so that he can administer some private readings, all is going well. Until one of his clients dies suddenly during the reading. He's now answering questions for the detectives and a bunch of reporters follow him to Midnight after Rachel Goldthorpe's crazy son accuses him of stealing his mother's jewellery. This sets Manfred into a tailspin because he has to spend a lot of money on a lawyer, while he's under suspicion. The worst thing is the attention this problem is bringing to Midnight. Manfred isn't the only one who wants to be left alone. The mysterious Rev has a special guest staying with him--a kid who seems to grow on a daily basis--and it's important to keep him off the radar. Diederik was dropped off by his father for a reason, so the Rev enlists Olivia to solve the mystery of what's really going on with the Goldthorpe family. Agreeing to help reveals some of Olivia's secrets, and it looks like someone from her past has just caught up with her. As the community sticks together to overcome all of these obstacles, we slowly catch a glimpse into each of the residents' secrets. Joe and Chuy appear be a happy, friendly couple who run an antiques store/nail salon, but they are a whole lot more. Fiji is a witch and is always ready to help whoever she can. Whether it's with a spell, some of her delicious cookies, or by helping the young boy who is growing at an alarming rate. Not to mention that her cat is a bit of a smart mouth. This time there are two mysteries to solve. One revolves around Manfred's legal issues and his need to clear his name so that it doesn't affect his reputation. The other is the intriguing fast-growing kid that they're all curious about, yet are determined to help. Just like the first book, the characters are all interesting and keep you glued to each page. The intimate multiple POVs slowly reveal some of the secrets that these characters are keeping, but not all of them. You know what I love about this series? I'm getting a kick out of connecting the appearance of characters from some of her other series. Manfred is from the Harper Connelly series. Bobo is from the Lily Bard Mystery series. 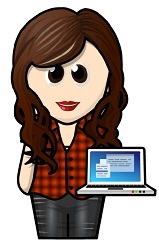 Arthur Smith is from the Aurora Teagarden Mystery series. There are several creatures that are also in the Sookie Stackhouse series, and even several cameos by actual characters from Sookie's world. I loved one particular character, because he was one of my favourites. 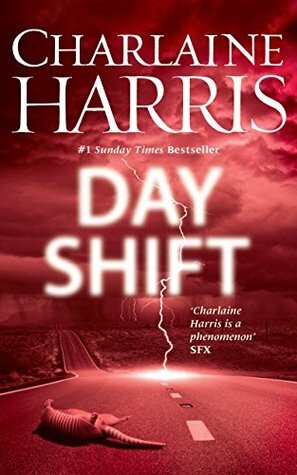 Day Shift is another awesome Charlaine Harris book that hooked me in from the beginning. I loved it! I'm enjoying the development of these wonderful characters and finding out how they fit into the much larger world. Also, I think there's something weird going on in that renovated hotel, and I'm looking forward to finding out more. Can't wait to join the residents of Midnight on more adventures.